N°727XX (1933) - 3x4cm Format on 127 film. Compur shutter 1/300. Heliar 3.5/5.5 cm. Self erecting front. Focusing knob on body (camera opened or closed). 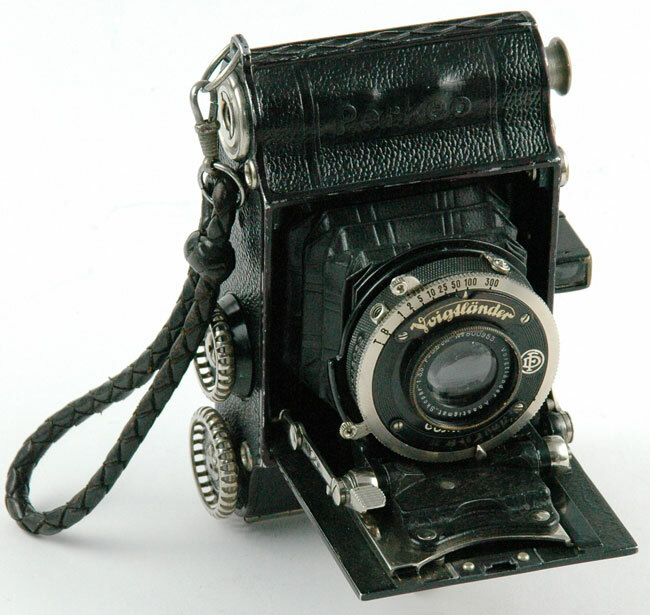 Model with fixed round optical finder and folding foot. Depth of field table on front. 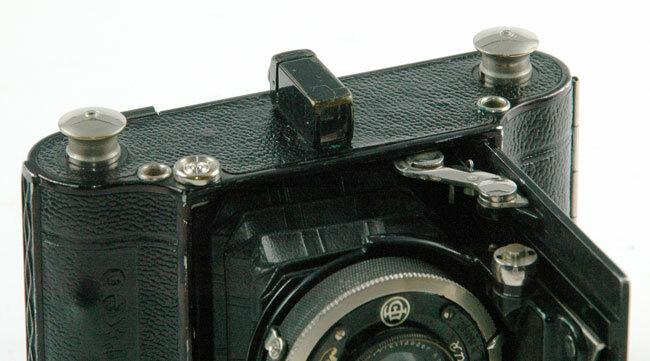 Several authors argue that a model with a fixed rectangular optical viewfinder existed. However, no document from Voigtländer makes no reference to such a camera. The photo above shows this type of camera. 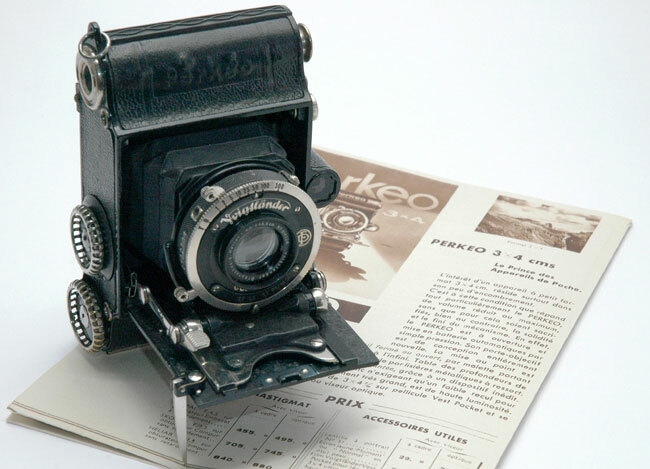 the folding viewfinder frame was replaced by a rectangular optical viewfinder. Close up image of the rectangular finder.